The Charge of General Lee (or did he?). It is a familiar scene for those of us who study the War. General Lee, concerned about repairing the breach, twice appeared at the head of Confederate troops, prepared to lead them into the heat of the battle. At the Wilderness, it was at the head of the Texas brigade. During the morning fight at Spotsyvlvania Court House, almost a week later, it was Gordon's brigade of Georgians. Yet, is there a third account that has gone unreported in the annuals of history. 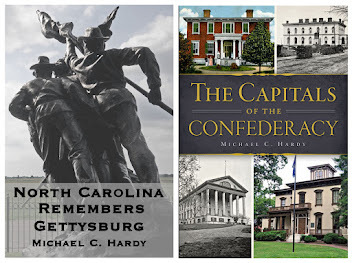 On the afternoon of May 12, Lee appeared along the line near Heth's Salient. He sent some of the Sharpshooters from Lane's North Carolina brigade forward to ascertain if a Federal battery was supported by infantry. Based upon the intelligence gathered, Lee chose to attack and capture the battery, and roll up Burnside's flank, if possible, relieving the pressure on the Mule Shoe. Lane's brigade, supported by Weisiger's brigade, moved out into the woods , capturing the battery and striking the flank of a new division of Burnside's men being launched towards the Confederate lines. Lane's attack was successful to a degree: the Federal guns were captured, although there was no way to bring them off the field, and Burnside's attack crumbled. Lane might have accomplished more if Weisiger had not become lost in the woods, firing into the rear of the North Carolinians. 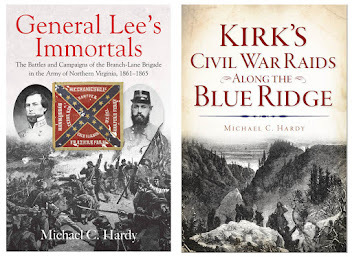 Did Robert E. Lee, commander of the Army of Northern Virginia, lead Lane's attack? Two post-war accounts lean in that direction. Brig. 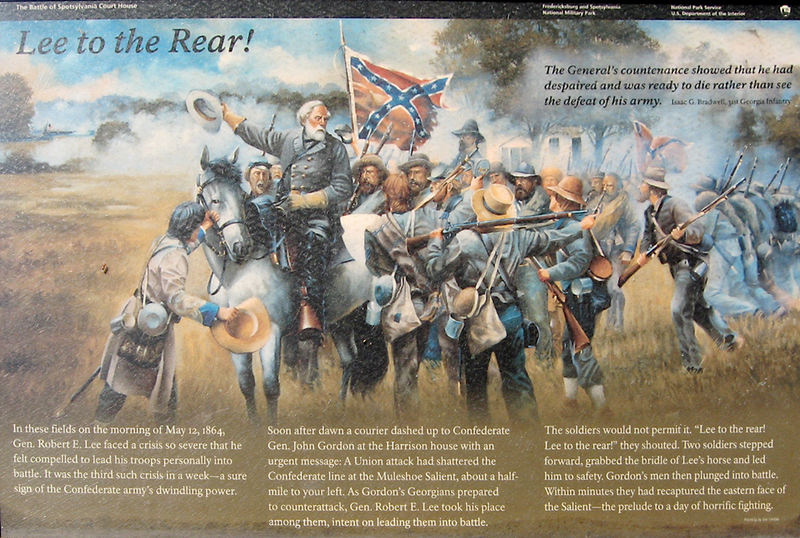 Gen. James H. Lane wrote about his near capture on June 30, 1983: "That afternoon [May 12, 1864], in obedience to orders from General Lee and under his eye, we crossed the works and entered the oak woods, from which we drove the enemy's skirmishers, and attacked Burnside's corps in flank as it advanced to assault the salient. The General and staff and all of the regimental foot officers were on foot." Two points about this account. One: Lane writes that they were under the "eye" of General Lee. That simply could mean that Lee watched the brigade advance over the works and into the woods, or that Lee had accompanied them further. Two: All throughout the article, Lane refers to himself in first person. "I was with that part of the line which swept over the Federal battery," he writes. Yet Lane tells us that "The General and staff and all of the regimental officers were on foot." He does not write "[I] and [my] staff and all of the regimental officers." A third account, written by William W. Chamberlaine, a staff office under Lee, seems to dissuade me of the idea. 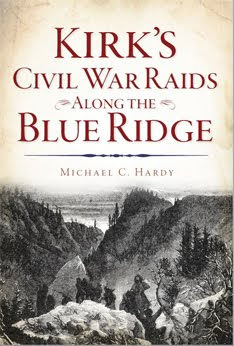 He writes that as the attack was going forward (totally leaving out Lane, who did the lion's share of the work), Confederate artillery opened fire on Burnside's men, and Lane's brigade got caught up in it. Chamberlaine writes that "soon we saw General Lee galloping on the road towards us. Shells were dropping in the road, but he reached us in safety. He directed General Early to have the Batteries cease firing." Chamberlaine's account was published in 1912. Three accounts: two that lend support to the idea that Lee was close by Lane's brigade during the attack, and third stating he was not. Sure wish I could find something from 1864 to confirm either account. So many times, in writing about battles, the sources with which I have to work are very vague. We attacked here, or charged, or were fired upon, etc. We get the skeleton version or outline of what happened. While working on the role of Lane's brigade during the battle of the Wilderness, I came upon two accounts that give us a little more. May 5, 1864 - It's dark and smoke hangs in the air. Lane's brigade has been ordered forward to try and stabilize the Confederate line near the Orange Plank Road. The 7th North Carolina, on Lane's left, has been cautioned that there are Confederate troops in their front. Capt. James G. Harris, writing on September 8, 1864, fills us in on the details of what happens next: "At this time owing to the darkness, smoke and density of the swamp, it was impossible to distinguish friend from foe. After remaining here for some time, it was discovered that a column was moving towards the plank road on our left, but supposing it to be McGowan's brigade little attention was paid it until our left wing having arrived within a few paces of it was ordered to surrender, and almost at the same instant, a destructive volley was poured into the regiment, which created some confusion." 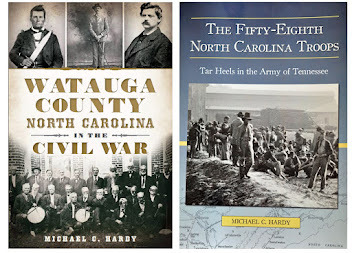 Harris goes on, in his 1893 account, to tell us that it was the 66th New York Volunteers that fired into the 7th North Carolina. Lt. Simon Pincus wrote the official report of the 66th New York on September 10, 1864, two days after Harris drafted his. 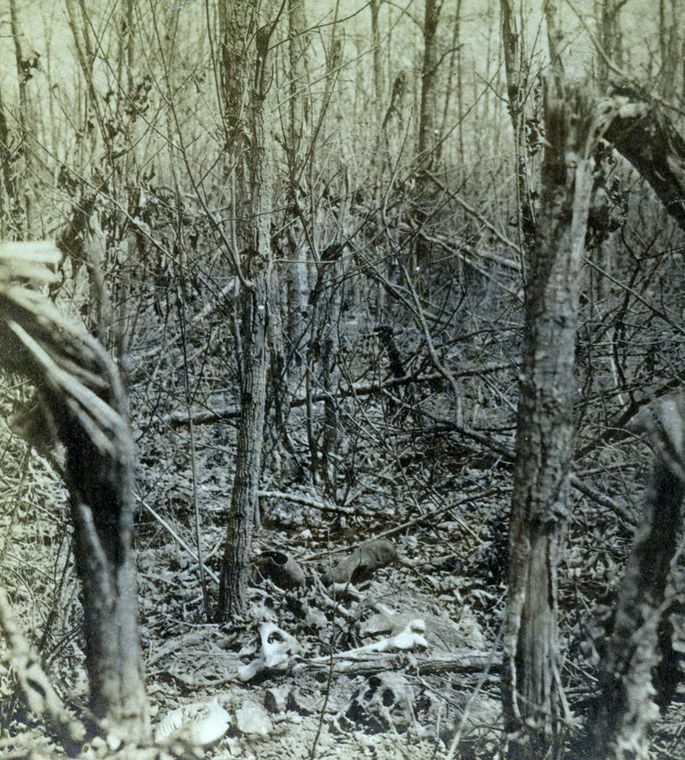 Pincus tells us that his regiment was "deployed in line of battle in the woods on the right of the Third brigade. The line was scarcely formed when the rebels came marching by the flank in front of my regiment, distant about 10 paces. It being dark, they were at first mistaken for friends, but the illusion was soon dispelled, and Lieutenant-Colonel Hammell gave the order to fire, which was promptly executed with fatal effect. 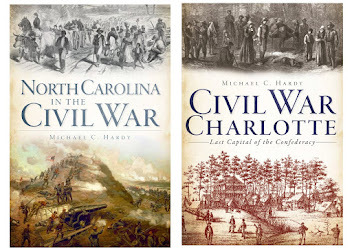 It proved to be the Seventh North Carolina, commanded by Lieutenant-Colonel Davidson, who was captured..."
Two points of view, one Confederate and the other Federal, of the same dark moments in the Wilderness. For many years, the people of North Carolina have been responsible for raising the funds to see to it that Confederate flags, entrusted to the state so many decades ago, are being preserved for future generations. Over the past decade, I've had the chance to stand beside many of these flags and to speak about their regiments. It is a huge honor. To my knowledge, there are two flag preservation projects underway right now within the state. For the past few months, the North Carolina Division, Sons of Confederate Veterans has been raising funds to preserve the battle flag of the 54th North Carolina Troops. It is possible that the flag was captured on November 7, 1863. The curators at the North Carolina Museum of History believe that the damaged section was caused by Federal soldiers snipping pieces as war trophies. The pictured flag was first sent to the War Department, then to Maine, and finally, through the work of Fredericks Olds, was returned to North Carolina in 1927. 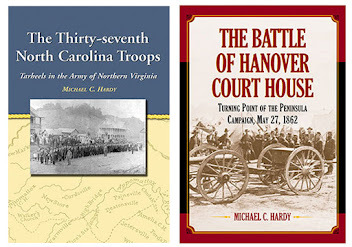 For more information, please visit the NC SCV website. The second flag, recently announced by the 26th North Carolina Troops, Reactivated, is the headquarters flag of the Brig. Gen. Lawrence O. Branch. No greater group of men and women has done more to make sure items in the North Carolina Museum's collection are preserved than the fine folks in the 26th NCT. This flag was the headquarters flag of General Branch, a pre-war congressional leader who also led the defense of New Bern in March 1862. The battle was a Confederate loss. Branch went on to command a brigade in the Light Division, Army of Northern Virginia. He was killed at the end of the battle of Shaprsburg. 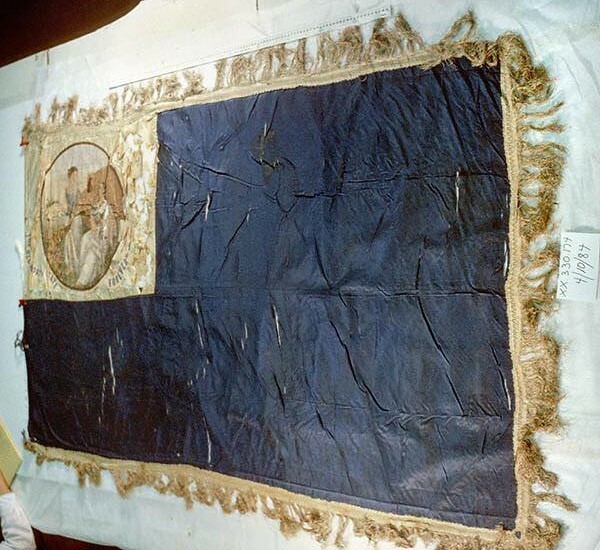 The flag started home with his body, but was left in Winchester and discovered years later. In 1920, it was placed in the North Carolina Hall of History/North Carolina Museum of History. If you are interested in helping to see that it is conserved, please visit this link. The third flag is a company-level flag belonging to the 6th North Carolina State Troops. Early in the war, companies were often presented flags before they left their communities and headed to a camp of instruction. This flag was presented to the North Carolina Grays, in Morrisville, on June 1, 1862. 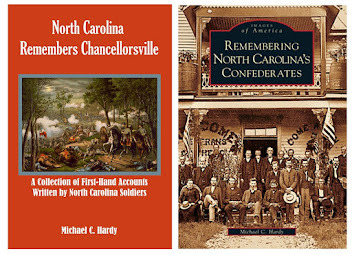 The North Carolina Grays later became Company I, of the 6th NCST, and consisted of men from Wake and Chatham Counties. 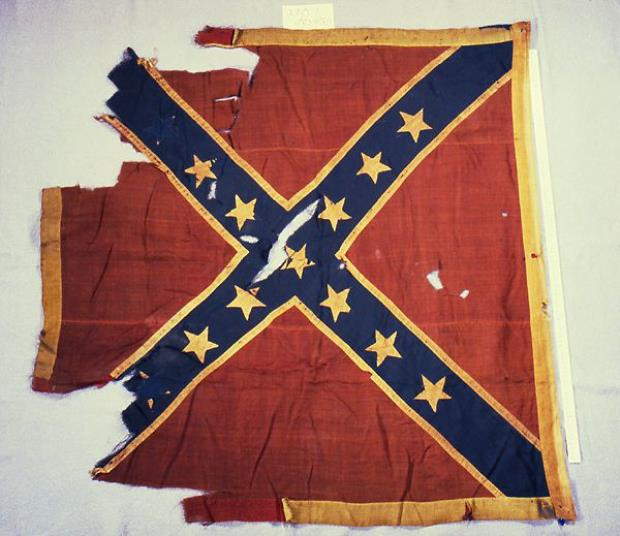 According to information at the North Carolina Museum of History, this flag was captured by Federal soldiers from Ohio in a baggage wagon, in the fall of 1863. It was returned to North Carolina after the close of the war. 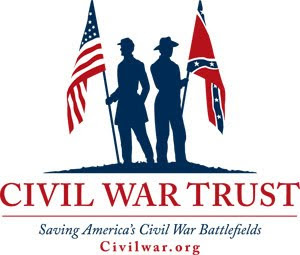 Friends in the Cedar Fork Rifles Preservation Society are raising funds to preserve this flag. The flag of the North Carolina Grays is made of silk, and silk flags take considerably more funds to conserve than wool bunting banners. You can find more information about this project by visiting the Cedar Fork Rifles Preservation Society here.